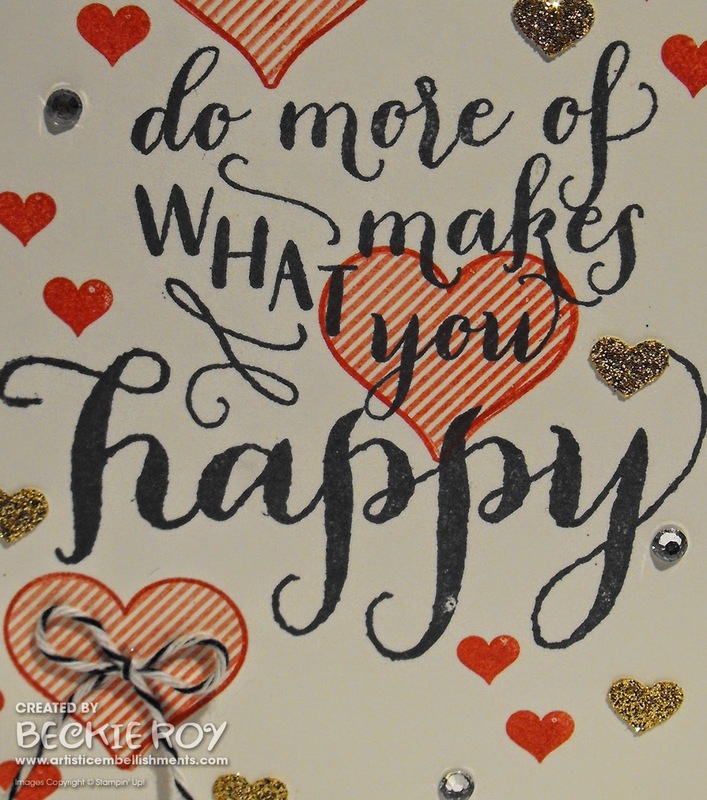 Artistic Embellishments: Hello Life: What makes you happy? Lots of things make me happy... stamping and creating are among the things that make me happy. 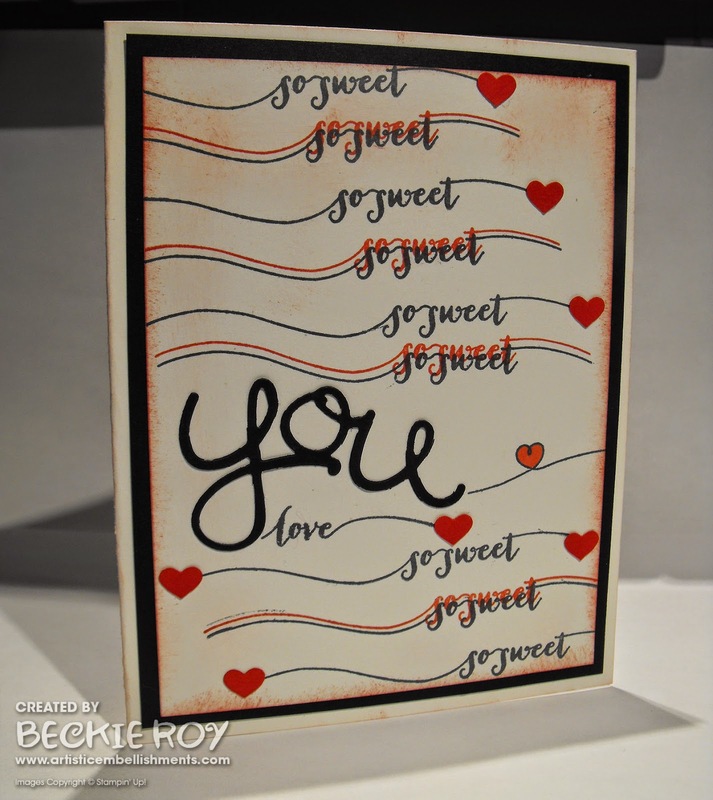 I made this simple card using the "Hello Life" photopolymer stamp set. I love the sentiment and the fun scripted font. I kept it fairly simple, using no dimensionals - that is something that is rare on my cards. 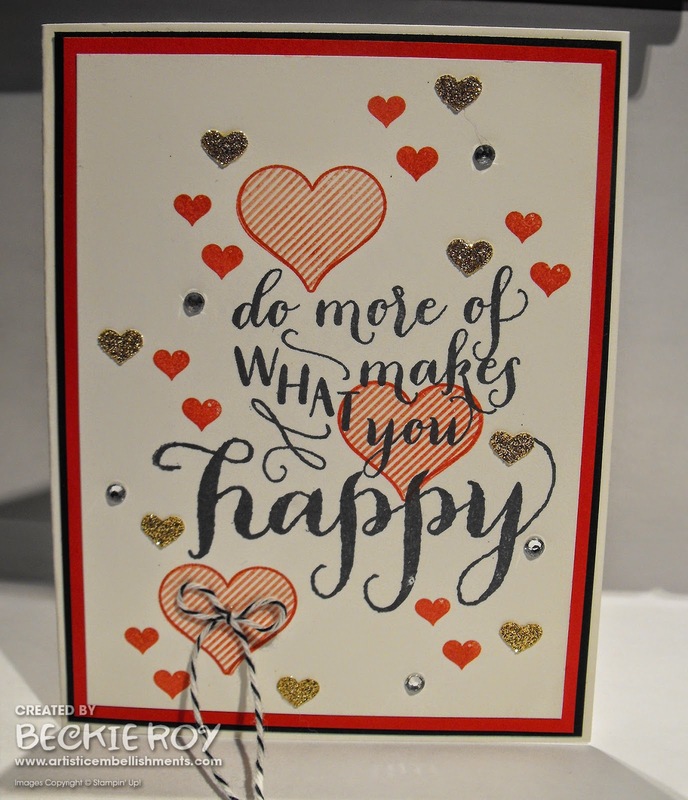 Just stamping, a few embellishments and a bit of sparkle! That's all that it took to make this card! 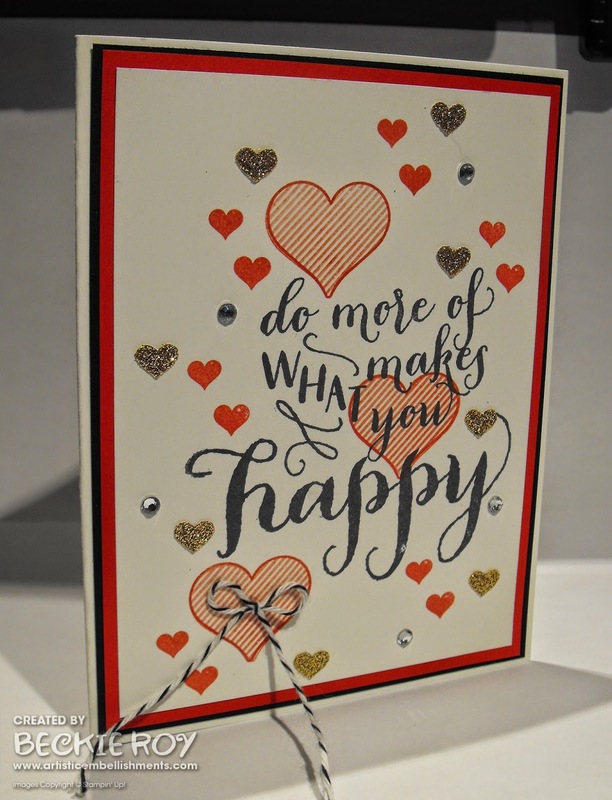 I stamped the sentiment, then some of the outline hearts (framing the you) - then I stamped the heart with the striped look, but stamped off first. Then to add some more colour I stamped some of the smaller hearts and added some gold glimmer hearts and Rhinestones Basic Jewels to finish. I made another card with the same set, I was just playing around - but I am happy with how it turned out so I'm sharing it with you. 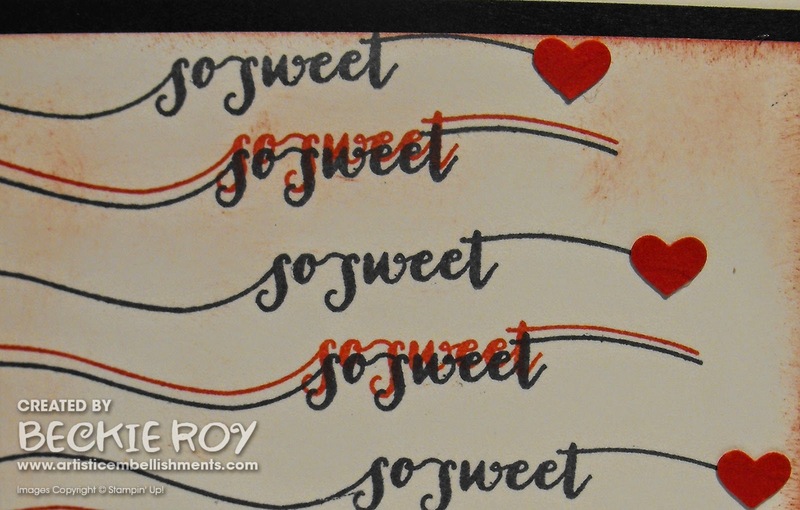 I started stamping the so sweet sentiment so it covered the whole card front. I used Tuxedo Black Memento Ink, then stamped every other one with some Real Red for a shadow effect. I cut the you from the 'Hello You' thinlits and Basic Black cardstock. Then stamped love to the bottom of the diecut. I like the fun wavy lines in this stamp set! I had to add a few punched out hearts for a pop of colour. Cute and simple! I hope you like them, and try to do more of what makes you happy... have a great day!